Traumatic Brain Injuries (TBIs) are more common than you may imagine, with 1.5 million Americans experiencing a TBI each year (CDC). 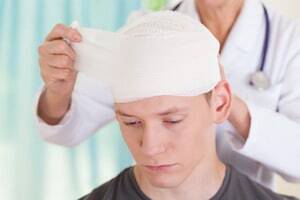 A TBI may occur from many types of head trauma including a closed head injury like a bullet wound and an open head injury such as from a car accident or a slip and fall. After a Traumatic Brain Injury (TBI), it is common for a victim to have cognitive problems. What Cognitive Problems Can Result from a TBI? A victim of a TBI may be unable to focus and be easily distracted. Their ability to process and understand information slows, so it takes longer to understand written information and perceive what others are saying. Reaction time is also slow, so driving may become unsafe. Even routine activities like getting dressed become difficult and frustrating. Communications may become problematic when the person with the TBI has difficulty thinking of the right word and following conversations. It may be challenging to use non-verbal communication to express emotions and, conversely, to read the emotions of others, leading to uncomfortable social situations. The victim may have trouble learning and remembering new information as well as recalling events in the recent past. Problem-solving skills may be elusive. The individual may be prone to inappropriate or impulsive behavior in social settings. The theme for this year's observance of Brain Injury Awareness Month is "Change Your Mind." The campaign aims to educate the public about the incidence of brain injury and the needs of those with TBIs and their families. One important focus is to promote the many types of support available to those living with a brain injury. If you or a family member has been harmed in a car accident, slip and fall or any other type of personal injury, please contact the Law Offices of Diana Santa Maria, P.A. immediately. Our experienced attorneys will fight for the compensation you deserve. Please call us for a free consultation. Attorneys Diana Santa Maria and Laura D. Dolin, personal injury attorneys in Fort Lauderdale, will fight to secure justice for you and your family. You can reach us at (954) 434-1077 or contact us via the website.